PARIS --- France’s defense procurement agency will begin the in-flight evaluation of competitors for the future SDT tactical UAV system later this month, allowing selection of the winner by year-end after a second-round review in the fall. The evaluations, each lasting one or two weeks, will take place at Istres air base in south-eastern France. The SDT evaluations will oppose two French companies offering foreign-designed airframes with subsystems and electronics tailored to French needs: Sagem, which is offering its Patroller, and Thales, which is offering the Watchkeeper developed by its British subsidiary, Thales UK, for the British Army. Watchkeeper will be evaluated in late June, and Patroller will follow in early July. Airbus Defence and Space, which had not been invited to bid for the Système de Drone Tactique (SDT) program, submitted an unsolicited offer earlier this year based on the Textron Systems Shadow M2 unmanned system, which it has dubbed Artemis. The company is waiting for feedback from DGA and the French army on its unsolicited offer before making a full-fledged bid. The French army has not specified a number of aircraft or systems, but has defined an operational requirement, leaving industry to come up with proposals on how best to meet it. However, as it now operates 22 Sperwer tactical drones, it is likely that it will ultimately require about 30 Système de Drone Tactique (SDT) aircraft divided into four deployable systems. “The 2014-2019 Military Program Law calls for two complete and deployable SDT systems, comprising 14 operational and training aircraft, to be delivered by 2019,” a DGA spokesman told Defense-Aerospace.com June 10. He added that the competition was formally launched during the fall of 2014, and that it is proceeding as planned, but declined further comment because the competition is ongoing. There are some doubts, given the French air force’s large-scale procurement of Reaper MALE UAVs, the planned development of the Eurodrone 2020 MALE, and the availability of smaller tactical UAVs, whether the French army actually needs to spend so much money to buy large UAVs of its own. “The current worry is that the program might not be completed, as the requirements are very ambitious and demanding, and there is no officially-defined budget,” says a senior official of one of the competing companies. In fact, the SDT program was barely mentioned during May 26 parliamentary hearings on the update to the 2014-2019 defense program law. Gen. Jean-Pierre Bosser, the army chief of staff, simply said that “we expect our current interim SDTs to be replaced by an SDT system,” before moving on to other issues. All three competitors stress the high French content of their offers, the high proportion of production work that will take place in France, and the fact that their solution offers sovereign, autonomous capabilities entirely free of foreign interference, for both operation and support. Sagem, with its Sperwer, is the incumbent; its latest contract was awarded in December 2013, and funded five additional Sperwer systems for delivery in 2015. In addition to those already in service with the 61ème Régiment d’Artillerie, these UAVs will maintain French army capabilities until a replacement enters service by the end of the decade. The three competitors offer three totally different approaches to the French requirement. All three offer broadly similar sensors, but differ notably in their air vehicles, which range from Sagem’s optionally-piloted and self-deployable motor glider; Thales’ updated and “Frenchified” Hermes UAV to the much smaller, and optionally catapult-launched, Shadow M2 planned by Airbus DS. In fact, the difference in size is such that the 250 kg payload of Sagem’s Patroller is heavier than an entire Shadow air vehicle, while at 450 kg empty mass Watchkeeper is less than half as heavy as Patroller. In other words, Watchkeeper is twice as heavy as Artemis, and in turn Patroller is about twice as heavy as Watchkeeper, although they all carry similar types of payloads. Given France’s insistence on maintaining its independent deployment capability, the level of technical and operational sovereignty, and the control of the supply chain, is likely to weigh heavily during the final selection. Sagem’s main competitor for the French SDT contract is Thales UK’s Watchkeeper, which was developed from the Elbit Systems Hermes 450 design and adapted to UK requirements. The British Army has ordered 13 Watchkeeper systems, for a total of 54 air vehicles, about 30 of which have been delivered to date. Watchkeeper was deployed by the British Army in Afghanistan. 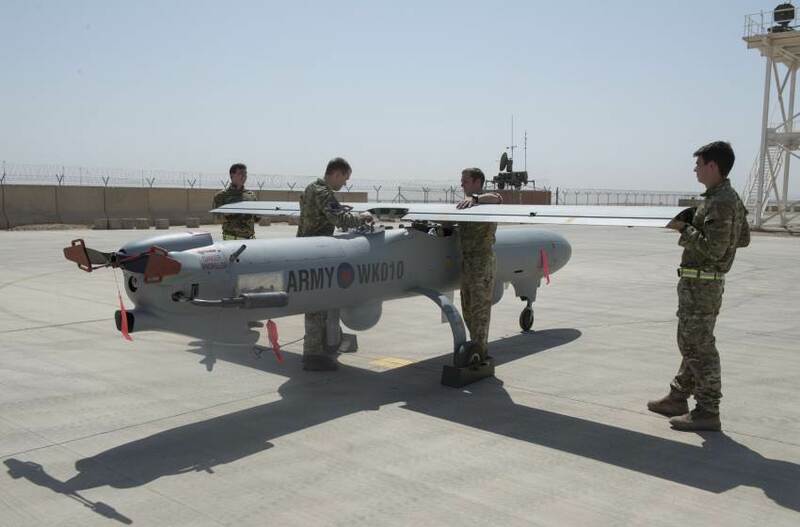 Several aircraft arrived at Camp Bastion, in Afghanistan’s Helmand province, in August 2014, and flew its first combat mission on Sept. 16, Lt Col Craig Palmer, the point man for UAVs at British Army HQ, told reporters here June 2. However, it will not attain Full Operational Capability until 2017, he said. Watchkeeper has flown about 500 hours with the British Army, Palmer said, of which 140 hours in Afghanistan and 360 hours from its base in Boscombe Down, in England. “Watchkeeper was designed from the outset to generate information superiority [and] its world-class I-Master radar is what is actually adding value. It’s a game-changer” compared to the Hermes, which has no radar, Palmer said. The Watchkeeper variant Thales has offered to France is equipped with mostly French subsystems, including a secure datalink, the same Automatic Take-Off and Landing System (ATOLS) that Thales developed for Watchkeeper, and Thales’ own electro-optical sensors. For the time being, the French army has been offered a Selex ES surface search radar, but alternate radars can also be fitted. For the French proposal, the joint Elbit/Thales datalink fitted to UK Watchkeeper has been replaced by a Thales-developed TMA/TMG 6000 dual-mode (command and ISR data) datalink, and Thales Executive Vice-President for Telecommunications Marc Darmon says the company has all the Intellectual Property (IP) rights to this product, which is obviously significant for national sovereignty issues. “We bought the source codes and we largely re-wrote them, so we have total control of the system,” says another Thales executive, dismissing concerns that foreign companies are involved in the French Watchkeeper proposal. At present, 80% of Watchkeeper components are British-made, with another 15% coming from France and 5% from the rest of the world, according to Pierrick Lerey, strategy and marketing director for Thales’ UAV and ISR business. The company has formed a French suppliers club (equipefrancewatchkeeper.com) to update Watchkeeper’s main systems, including a new-generation electro-optical payload; a new Communications and ESM payload; a new imagery chain for full HD video; interconnection with the French military C4ISR network, a new ground station and a remote video terminal. The goal, Lerey says, is to bring French content up to at least 35% for the French program, since the Watchkeeper airframe and the (new) ground stations will continue to be built in the UK. While its competitors opted for specific, UAV-sized airframes, Sagem preferred to use a civil-certified airframe for its Patroller, which is almost as large as a MALE drone but offers the advantage of being derived from a German motor glider, the Stemme S-15. Frederic Mazzanti, Sagem Vice-President and head of its Optronics and Defense Division, notes that this means it can self-deploy using civil airspace, that it can be used for training in unsegregated airspace with a pilot on board, and that it does not need tractors or other ground equipment because it was designed to be autonomous on the ground. Patroller’s size also means it offers lots of space for fuel and sensors, and the commercial origin of its airframe means it was designed for simple, straightforward repairs with little tooling, another plus for austere operations. Sagem’s offer comprises triplex-redundant avionics, a new fourth-generation Euroflir 41 sensor ball with a 43-cm diameter and fitted with full HD color TV, visible and thermal imaging, and laser rangefinder and designator. Several synthetic aperture radars can be fitted, depending on the customer’s preferences, and several have already been tested. Most importantly, says Mazzanti, Patroller has the capability to operate radar and EO sensors at the same time, and also to transmit their imagery at the same time. This, he notes, is a unique capability in this category, and can multiply an ISR aircraft’s effectiveness by tracking several targets with different sensors at the same time. Most Patroller subsystems and sensors are produced by Sagem itself (EO sensor ball, navigation, datalink) while the others are French-made. Sagem also owns all property rights to the airframe, so the fact that no foreign company is involved guarantees manufacturing and operational sovereignty. 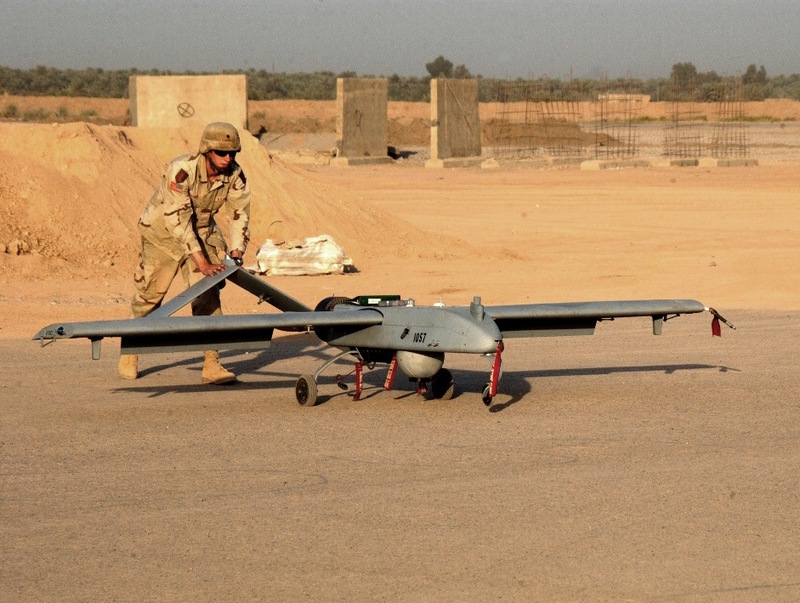 With its Sperwer drones, which were operated in Afghanistan by several of the nine countries that have bought it, Sagem gained precious operational experience. The French army’s 22 Sperwers attained an availability rate of 80-85% with support from Sagem. “Our availability in terms of aircraft numbers never fell short of requirements,” Mazzanti said, adding that as operators of the S-15 have logged over 1,000 flight hours per year, there is no reason for Patroller not to attain similar levels. Sagem employs over 100 people at its French plants to build Sperwer drones and its components, and the company also has assembled a cluster of SMEs to which it subcontracts some of the work. All in all, Sagem says that French content of Patroller will attain 85% by value, as only the radar and airframe would be built overseas. 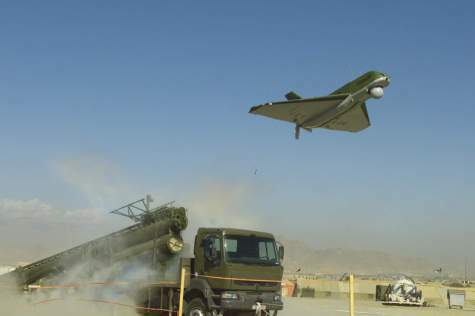 Thales and Sagem both “offered large air vehicles that are closer to MALE size, but looking at the French army requirement we thought that a smaller drone, capable of being operated from close to the front line, would be a better match,” an Airbus official said June 9. 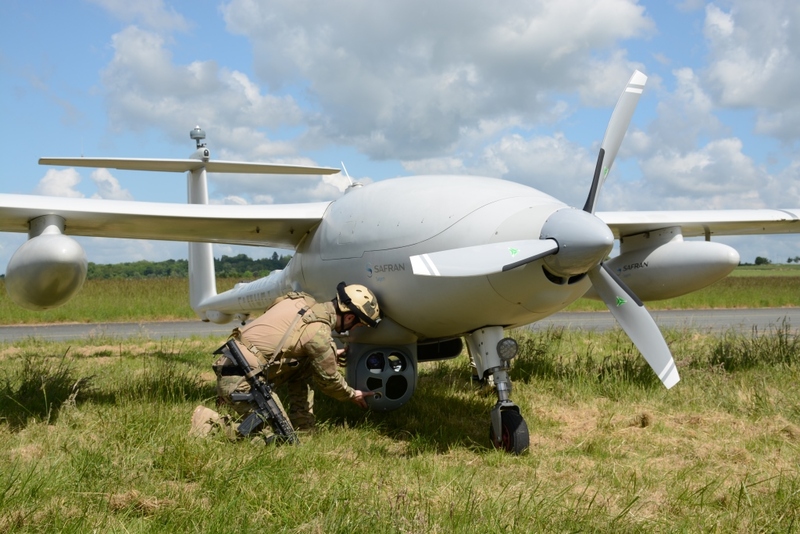 Instead of offering one of its own UAVs, the company preferred to team with Textron Systems to prepare a bid based on a tried-and-tested UAV that more closely matches the French army requirement, and which is small enough for use at brigade or division, instead of corps, level. Airbus has not yet formally filed a bid, and will only announce its Artemis partnership with Textron next week at the Paris Air Show. The company has so far only submitted an unsolicited proposal to DGA, and is waiting for feedback before deciding whether to invest in a formal and comprehensive proposal. Nonetheless, company officials expect a positive response, and are encouraged by the fact that a team of DGA and French army observers will fly to Yuma, Arizona during the summer for a demonstration of the Shadow M2, which will not fly at Istres. Smaller also means cheaper, and Airbus says its offer – based on Textron Unmanned Systems’ upgraded Shadow M2 – would carry much lower acquisition and operating costs, and thus allow more intensive operations for a given budget, while its small size also facilitates transport and deployment. Shadow is operated by the US Army and Marine Corps and several foreign militaries, and over 300 air vehicles have logged over 1 million flight hours, including in combat. A competitive advantage that Airbus points out is that Shadow’s long service career, and different users, are such that the latest versions benefit from a wealth of technical and operational lessons learned. For Artemis, Airbus would modify the Shadow M2 air vehicle as little as possible to limit costs, but would replace its subsystems or adapt them to French requirements. These would include Airbus’ own Lygarion datalink, a modified ground station, and French sensor packages (radar and either electro-optical or signals intelligence) that are capable of simultaneous operation. Airbus plans to purchase full rights to the Shadow airframe and ground station, and so would control the entire system, ensuring “fully autonomous operations, as well as maximum growth potential, for the French customer,” according to a briefing document. It also says that a “significant” share of production and support – about 60% -- would take place in France, supporting French industry and jobs. In reality, a large share of production would remain in the United States, so French workshare would largely be made up by training and support, in addition to some key subsystems.